Paul R. Blechman, 93, of Coatesville, passed away on Sunday, August 19, 2018 at the Harrison Senior Living Center of Christiana, PA. He was the widow of Evelyn Stanley Blechman. Born in West Chester, Paul was the son of the late Louis and Pearl (Waldman) Blechman. He was a graduate of Scott High School. 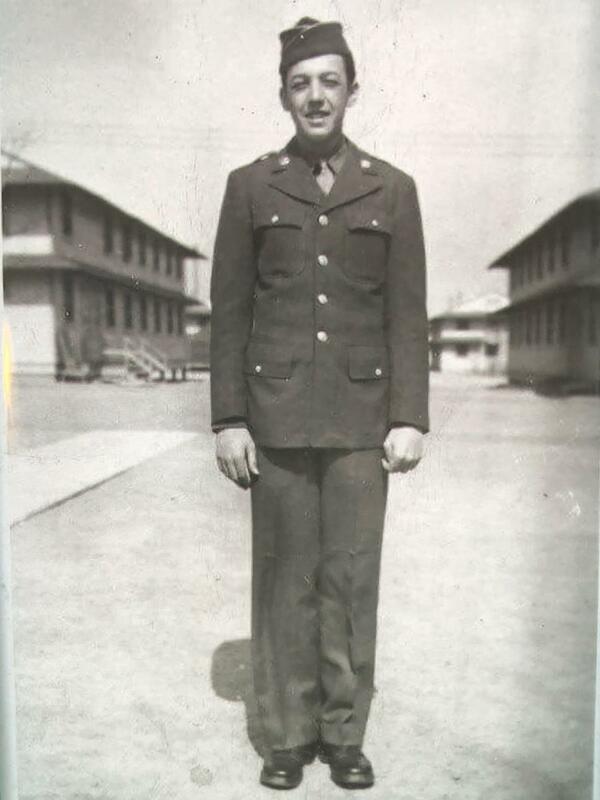 He served honorably in the US Army during W.W.II, fighting in Normandy, Rhineland, and the Ardennes, earning a Purple Heart in combat in Germany and five Bronze Battle Stars. He is survived by three children: Judith Berkheimer, wife of David, of Coatesville, Paula Ferris, wife of Hashem, of Downingtown, and Deborah Warner, wife of Irvin, of Coatesville; 10 grandchildren, 18 great grandchildren; two brothers, Leonard and Robert Blechman and his son-in-law Larry Pollard of Wagontown. He was predeceased by his daughter, Dixie L. Pollard and grandson David Berkheimer, Jr.. The Graveside service will be held on Friday, August 24th at 10 AM at Hephzibah Baptist Cemetery, 2237 Strasburg Rd, East Fallowfield, PA 19320. In lieu of flowers, donations may be made in Paul's memory to Wounded Warriors Family Support, 920 S. 107th Ave., Suite 250, Omaha, NE 68114. I’m Ira’s daughter. I’m so sorry to hear about this about Paul. We all are. May you Rest In Peace Pop. Unfortunately I never got the opportunity to spend lots of time with you, but the time I did was cherished. The cousins and I giving you a hard time and you would just laugh and we would run out and do it all over again. You will be missed by many, day hello to my Dad for me. Calvin and I send our heartfelt condolences to The Paul Blechman family. May he be held in the arms of his maker, and be forever in peace. Hugs Judy.